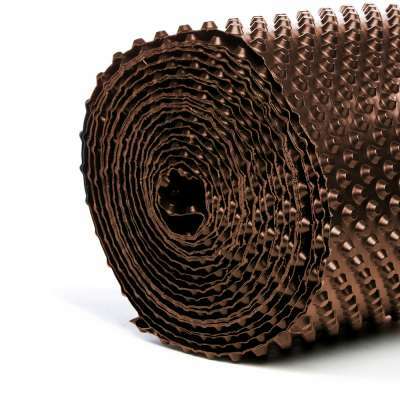 Brown cavity drain membrane suitable for waterproofing floors and walls both internally and externally. 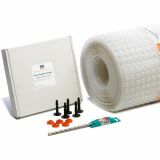 PermaSEAL 8 Eco X Brown is a cavity drain membrane suitable for use internally and externally, above and below ground. This high quality HDPE membrane can be used for waterproofing retaining walls, vaulted soffits and floors. It is ideal for basements and cellars as well as in above ground applications. 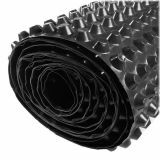 Due to its diagonal 8mm stud formation, this cavity drain membrane has a larger number of studs per metre squared. This increases its compressive loading stability when compared to other membranes in the PermaSEAL range, making it ideal for flooring applications. As a cavity drain membrane, the Eco X can be used below ground as both a wall and floor membrane as part of a Type C Waterproofing System in conjunction with other PermaSEAL products. These include Drainage Channels and Sump and Pump Systems for evacuating water from a building. 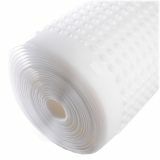 We also stock membrane tape, overtape and corner strips for sealing membrane joints. The PermaSEAL brown cavity drain membrane is suitable for use when constructing a Grade 3 environment in accordance with BS 8102:2009 – Protection of below ground structures against water from the ground. Read our full guide on how to comply with BS 8102 for more information.